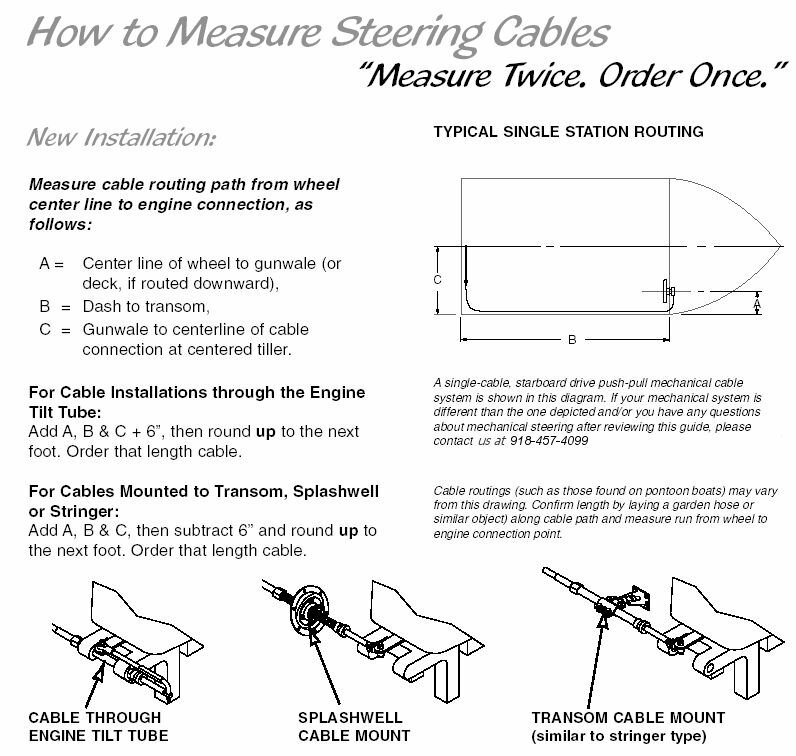 For correct length system, get number (normally contains length) off your current steering cable or, click here for instructions. NFB (No feedback) dual cable rotary steering system. 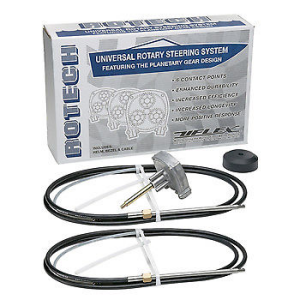 Isolates the operator from the considerable steering loads of today's high horsepower outboards. Back mount design means easy installation. Fits single non-power assisted outboards with speeds above 50 MPH.